Mental health and suicide prevention need to become embedded within corporate risk and safety culture, urges a risk manager who has helped drive a movement within the construction industry to address suicide rates. 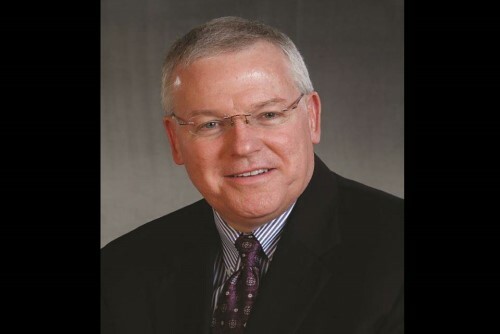 Cal Beyer, director of risk management at Washington-based asphalt paving firm Lakeside Industries, has spent several decades working in risk management and insurance. However, he began his career working in healthcare, where he saw first-hand the devastating impact of casualties and critical incidents – and knew he wanted to do something where he could focus on prevention. While working for a start-up insurance company, Beyer became involved with the Crisis Care Network and has since been on a journey to address mental health and suicide prevention, specifically within the construction industry, which is among the industries with the highest suicide numbers and rates within the US. Beyer spoke to Corporate Risk and Insurance about why mental health and suicide prevention is a “calling” for risk managers, and why we need to embrace human capital risk management. Suicide and mental health are inextricably linked, and as a result there are some industries with higher risk factors, and therefore higher suicide rates. Construction often ranks among them. “We have many industry risk factors and we have many demographic risk factors in our workforce,” Beyer said of the construction industry in the US. On top of construction often having a male-dominated “tough guy culture,” in which expressing emotions or feelings can be discouraged, there are a number of factors relating the workforce and their working conditions which exacerbate the issue. “There is a lack of access to healthcare – most construction workers are paid hourly, they are paid when they work, and doctors typically work Monday through Friday, 8am-5pm. Our field employees can’t take time off to go and take care of themselves,” Beyer explained. Turning to alcohol or self-medication is common, and where workers are able to seek healthcare, the high levels of injuries mean that prescription medication is often prescribed – which in turn can lead to addiction issues. “That can create compounded issues like loss of a job, or stress at home and with family,” Beyer explained. The nature of the construction industry itself means that there is a daily pressure to meet targets for budgets, schedules, productivity, quality, and safety. Add to that the impact of long and erratic working hours, and it can take a toll on employee’s health. “A lot of construction workers may have disjointed family lives because of their working hours. It’s hard for us to go to our children’s football matches or soccer matches and baseball games,” Beyer said. Workers may also be moved around to different locations, meaning they are apart from their loved ones. “That separation from family creates more isolation and loneliness, which if someone has a predisposition to anxiety, depression, or other conditions, can be a trigger. There is also the end of season furlough, which create financial pressures if people don’t learn how to put money away. There are a lot of those risk factors,” Beyer explained. With risk culture increasingly broadening the perspective of risk managers at corporate firms, the issue of workers’ mental health needs to be addressed too. “This is a hidden risk that very few people talked about because of societal taboo. This needs to be a workplace issue, it can’t just be in the family, or at home, or school or in the community,” Beyer said. Through his tireless efforts, Beyer has helped galvanize a movement that is addressing high suicide rates in the construction industry. Recently, the risk manager drove the launch of a new organization, the Construction Industry Alliance for Suicide Prevention, which was established by the Construction Financial Management Association, and there are now more than 72 organizations in the US alone that are helping to promote this topic. Beyer says his hope for the future is that senior and company leaders will embrace the need to weave mental health, suicide prevention and addiction recovery into corporate risk strategy.